**El Or, Tamar, 2014 The chapter " Right where the body ends: anthropology on and of the edges" was published in 2014 in the book "Thoughts on shoes". Gal Ventura,Ori Bartal, Einat Leeder (eds). Bezalel Academy and Resling. Pp. 224-241 (Hebrew). **El Or, Tamar.1999." Chapters 1-3 in Genesis as an Introduction to Anthropology ." in: Ruth Ravitzky (ed). Reading Genesis. Tel-Aviv: Yediot Aharonot Press.pp. 70-79. (Hebrew). ** El Or,Tamar, Halbertal Tova, and Rapaport Tamar 2000. "Apples from the Desert: Literature Teachers Reading from Local and Global Contexts" (with). in: Penina Peri and Michal Tzelermayer (eds.). Teacher, Female and the Israeli Society. Hakibbutz Hameuhad Press.pp. 216-239. (Hebrew). ** El Or Tamar. 2000. " Between Joy and Subjection : A Negotiation of Motherhood Among Women Students, their Teachers and the Text." in: Boaz Shoshan (ed). Discourse on Gender/Gendered Discourse in the Middle East. Westpoint, CT: Praeger. pp. 37-56. ** El Or Tamar.2001." What I am Looking for in my Studies ." in: Rachel Livneh-Freudenthal and Elchanan Reiner (eds.). Streams into the Sea. Tel-Aviv: Alma College. pp.72-82. Also published in Hebrew in Shilo, Yehodit (ed). 2001.Being a Jewish Woman. Orim:Jerusalem.pp.83-98. ** El Or Tamar.2001. "Religion, Study, and Contemporary Politics." in Harvey Goldberg (ed). The Life of Judaism. Berkeley: University of California Press. pp.213-227. **El Or Tamar, and Neria Eran.2004. " The Ultraorthodox Flaneur : Toward the Pleasure Principle - Consuming Time and Space in the Contemporary Haredi Population of Jerusalem". in: Yoram Carmeli and Kalman Applebaum (eds.). Consumption and Market Society in Israel. Oxford: Berg Publishers. pp. 71-94. Also published in Hebrew in: E.Sivan&K.Kaplan.(eds).2003. Israeli Haredim. Jerusalem: Hakkibutz Hameuchad. pp.171-195. ** El Or Tamar. 2005. "Paradoxes and Social Boundaries: Ultraorthodox Jewish Women and their World." in: Esther Fuchs (ed.). Israeli Women's Studies: A Reader. New Brunswick: NJ, Rutgers University Press. ** El Or Tamar. "In the Footsteps of Man, Woman, Nature and Civilization: The Cultural History of Gender Differentiation." 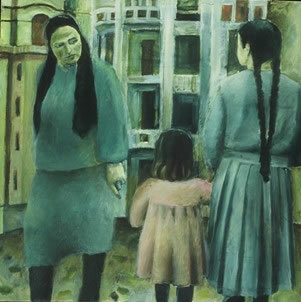 in Nitza Yanay, Tamar El-Or, Orly Lubin and Hanna Naveh (eds.). Venues of Feminist Thinking.Raanana: The Open University.pp.85-118. (Hebrew). ** El Or Tamar. "A Temple in Your Kitchen: Featuring the Comeback of Hafrashat Challah." in: Ra'anan Boustan, Oren Kosansky and Marina Rutstow (eds.). Tradition, Authority, Diaspora: Critical Terms in Jewish Studies. Philadelphia: University of Pennsylvania.Pp.271-294. ** "Tania for every girl – how women study the Tania in Habad". In Etkes, E, Hyed, M., El-or,T., Shwartz,B.(eds.) Religion and Education. Yad Ben Tzvi. Pp.206-219.